SemRush offers you the most detailed and advanced digital marketing metrics. You can generate the reports and send it to your clients for analysis. You can also download the reports in the PDF format. Compare the SEO reports with your competitors which is an excellent way to improve the SEO. SEMRush integrates with Google analytics and Google Search console seamlessly which allows you to track the website performance. The business subscription of the website allows you to generate up to 10,000 reports per day. SEMrush comes with great customer support, so in case you are stuck, you can instantly take the assistance of the customer support staff. Bloggers and professional website owners a are always looking to generate more and more traffic for their blog or website. From writing good content to off page, on page SEO, they are doing it all. But how to know if they are doing it right? How to know whatever they are doing for the blog or website is working or not. Moreover, competitor analysis is also a powerful way to outsmart the competitor and get organic traffic for the website. There has to be some tool that can analyze the performance of the blog as well as competitor’s analysis. SEMRush is a tool that helps the bloggers in performing the keyword research, link building, social media engagement, and influencer marketing. 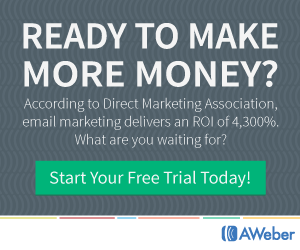 This can drive more traffic to your website. Most of the businesses follow and analyze their competitors manually which is time-consuming and boring. 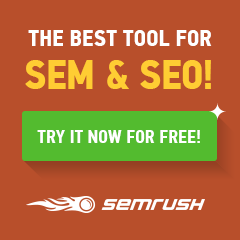 What SEMRush actually is ?? SEMRush is a powerful and all in one SEO and digital marketing suite that comprises various tools useful for digital marketing experts. SEMRush is the most popular SEO competition solution that you can find in the market. 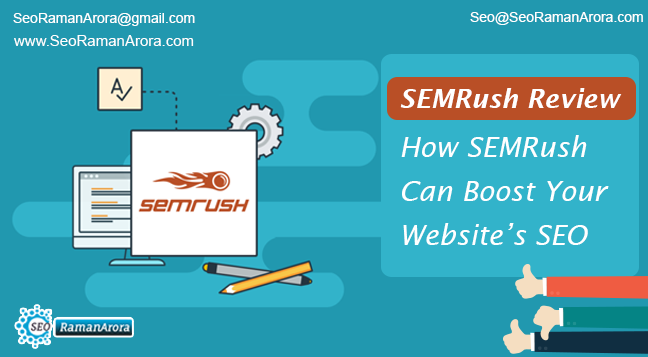 You may have heard many top-notch digital marketing Gurus like Neil Patel talking about SEMrush and how they are using it for digital marketing. Regardless of whether you have a blog or a business website, ranking high on the search engine result pages and get more traffic is the main aim of every website or blog owner. SEMRush is built in accordance with the requirement of every website owner regardless of size or the niche. You will definitely find SEMRush very effective in content generation and generating more traffic. Competition Analysis: SEMRush helps you to find your competitors instantly and you can conduct an SEO analysis on your competitors to find their strength and weaknesses and prepare you to beat them. 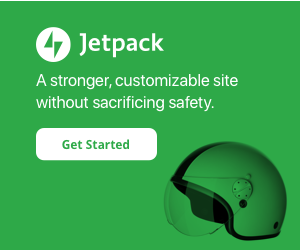 Link Building: Your link building gets improved. You can see your links as well as competitor’s links and analyze them. 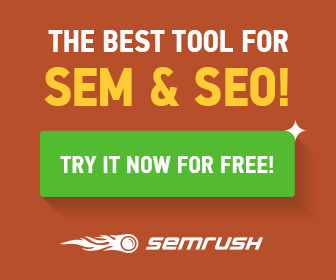 Advanced Keyword Research: SEMRush give you an extensive keyword research tool. Complete website audit: You get a complete website audit. You can check how your website is performing in terms of SEO and how you can improve SEO. Organic Research: You can also generate an organic research report based on the domain or the keyword phrases. For a better understanding of the SEMRush, getting an account in SEMRush is the best idea. Go to SEMRush.com to create an account and get a 30-day free trial. With the help of all such data, you can get a great start! You can also download this report in a PDF format. How to Find your competitor’s Keyword? SEMRush helps you to find your website competitor’s keywords and how your competitors are performing in the SERP. You can simply go to the Domain Analysis section and click on the Competitor tab. Also, you can write your competitor’s domain names and you will see a graph of the competitors compared to your website. You can also find a list of all your organic competitors. You can get details like Common Keywords, Competition Level and SEO Keywords. The next step is to analyze the competition. We can focus more on the strategies and the keywords they are focusing. We can input the competitor URL and find the common keywords. This can get us an overview of the competitor’s search performance. You can also find out the keywords that are generating the most of the traffic for your competitors. You can also see a complete list of their organic search position. The next step is to figure out how your competitors are ranking is to find out what posts are generating most of the traffic for them. To do this, go to Domain Analytics and click on the pages located under Organic Research. Type the URL of the competitor and you will which pages of the website are ranking in the top 100 search result. This can give you a clear idea of how much traffic the page is generating per month. With the help of SEMRush, you can easily use the right keywords with the help of advanced filters. Finding the right keywords for your business or blog is the key to improve the organic traffic of the website. Blogger and website owners usually like to go after the long tail keywords because the competition is less. It is pretty easy to rank for the long tail keywords. In order to collect these keywords, go to the left-hand menu and click on the “Overview” tab under the “Keyword Analytics” section. The first step is to input a long tail keyword. You will be shown organic as well as paid search volume. If you scroll down a bit, you can find the phrase match and the related keywords. In the Phrase Match Keyword section, you can find lots of keywords ideas that contains your primary keywords. You can get these keyword ideas and implement them in your blog. Search Engine Optimization is not that difficult as it seems. Tools like SEMRush have made the task of SEO much simpler than before. SEMRush is the ultimate SEO tool that allows you to keep an eye on your competitor’s performances and metrics. 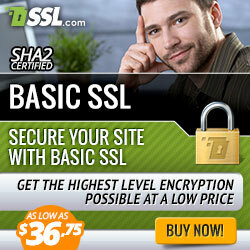 You can analyze the backlinks and boost the overall search engine capability. You can go and register on SEMRush and get a hands-on experience on the SEMRush tool.